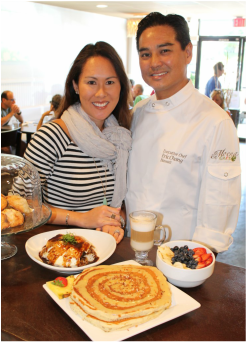 Eric and Nicole bring success and their finest skills to Moena Cafe! Their desire is to serve the locals and tourists alike and give them a taste of the local Hawaii foods that make our islands so unique. It was their dream to open this business together and now to see their dreams as entrepreneurs come to life in their very own restaurant is something they take much pride in!